While the traditional owners of Alice Springs, the Central Arrernte people, have lived on the land for thousands of years, the town’s population is fluid. Population churn, the turnover of people moving in and moving out, is high in Alice Springs, as it is throughout the Northern Territory. In an average year more people move out of Alice Springs than move in. And in the retirement age bracket the numbers of people leaving are even higher. But Alice Springs is making an effort to hold on to its older population. The local council and NT government are encouraging people to stay on past retirement and put down roots in the town. Murray Cosson, Broadband for Seniors (BFS) volunteer at the Alice Springs 50 plus Community Centre has noticed things more older people are choosing to stay. Murray 82, retired at 78 after a career as a pilot with the Flying Doctor Service. 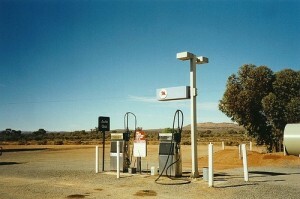 Murray’s lived and worked in London, Auckland and Sydney but he chose to settle in Alice Springs. Murray gets a dozen or so a week to his computer classes. Some bring their own computers, others use the new NEC computers supplied by BFS. Broadband for Seniors is one of a number of programs that are run out of the centre, which is a hub for activities offered to people of retirement age and beyond in Alice Springs. 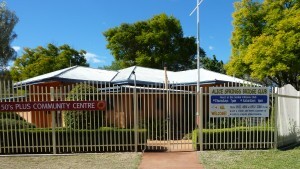 The Centre is managed by the Alice Springs Senior Citizens Association, National Seniors Central Australia and the University of the Third Age (U3A) and is used by a range of community groups, who offer a jam packed weekly program of activities and classes from woodwork and tai-chi to bridge and computer classes. Around 150 people come through the doors of the centre each week. As well as being a volunteer tutor, Murray takes part in other activities at the Centre and is part of Wednesday’s snooker group. Murray says that older people can become isolated, especially if their friends move away. Then there’s those older people who have moved back to Alice Springs from more remote areas who can also feel isolated in their new home. Moving to town after years in remote areas can be a challenge. It’s this wandering spirit that sees the Centre offer bush-based activities including gliding, clay shooting and archery as well as more traditional town-based classes. Gavin Carpenter is one of a number of community members who approached the council four years ago about using the Senior Citizens building as a community centre. After 33 years running the newsagency and general store in Tennant Creek and seven years running Timber Creek and Dunmarra roadhouses, Gavin and his wife Joan moved back to Alice Springs in 2005 to settle.